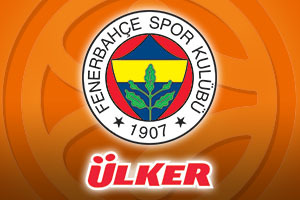 This is the first time that Fenerbahce have been in the playoffs for 7 years and their reward for doing so is a clash with the reigning champions. The Turkish team has not had much luck against their opponents in the last 11 years. The two teams have met six teams and the Israeli side has won with at least 9 points in every game. However, this is a very different Fenerbahce side, a side that has won 10 of their last 11 games and with a strong offensive line-up, they will fancy their chances against a side who have at times struggled to live up to their exploits of last season. The Turkish team holds a 19-5 record in the Euroleague this season, coming in with an impressive 8-2 record in the regular season and a strong 11-3 record in the Top 16. There has been a good level of consistency to Fenerbahce this campaign, and this could be the sort of feature to their play that will make all the difference by the end of this campaign. As for Maccabi, they hold a 16-8 record so far and at times, it looks as though the pressure of being reigning champion has weighed heavily on the side. They managed a 7-3 record in the regular season and a 9-5 record in the Top 16. However, they have made it through to the playoff stage and the experience from last year will stand the team in good stead for the challenges that lie ahead. When it comes to average points scored, Fenerbahce lead with a 82.0 to 77.8 record. Andrew Goudelock has been hugely important for the home team so far this campaign and if they are looking to achieve success in the playoff round, he will be the man that needs to deliver. He has offered up an average of 16.7 points per game this season, a tally which he will hope to add to during the playoff games. Nemanja Bjelica has also been an integral player for the Turkish side, offering up an average of 8.3 rebounds per game this season. Emir Preldzic has also provided an average of 3.1 assists per game this season. For the reigning Euroleague champions, Devin Smith has been the key player, providing an average of 16 points per game and an average of 6.3 rebounds per game. If the reigning champions are looking to defend their title in style, they will be looking towards Smith to deliver a big performance in the next two weeks. Jeremy Pargo has also been a key player for the Israeli side, offering up an average of 5.5 assists per game. Fenerbahce are at the top of the Turkish league with a 20-6 and in their most recent game, they achieved an 86-76 win against Eskisehir Basket at home. Maccabi Electra Tel Aviv are also at the top of their domestic league with a 23-4 record. The most recent domestic game for the reigning champions was a surprising loss to Maccabi Rishon Lezion, with the final score ending up 105-85 in a match that was played on Sunday. Bwin make the home side favourites for this game, providing them with odds of 1.33 to win the game. 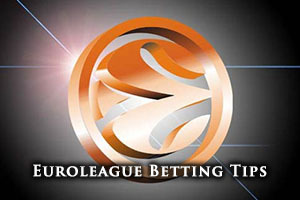 If you are looking for the handicap odds to add some value, taking Fenerbahce with a handicap of -6.5 at odds of 1.83 should provide you with some entertainment. The Over/Under market is always worth looking at and you will find that going UNDER 155.5, at odds of 1.83, is likely to be a decent bet for the opening game of this playoff series. Bet Now!